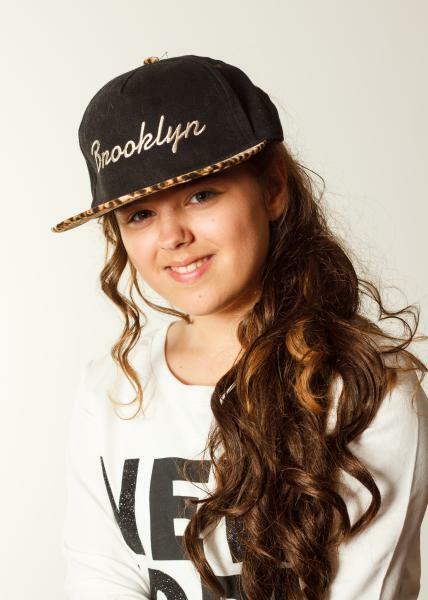 I am a child actress from the UK aged 15. I am interested in a movie roles,TV shows or adverts. I have passed examinations in Musical Theater with London College Music Examinations as well as being awarded best singer at Theater School. ------------------------------------ Very popular on YouTube ================= with over 1,000'000 views Very popular on Facebook created a Facebook group with over 35000 members and followers I have a YouTube Channel where I post videos mainly to songs I have recorded which has over 1,000,000 views and Facebook following of 35,000 Jodie's best special quality is =================== ( Comedy acting ) ---------------------- Humour to make people laugh Jodie is very funny in any comedy role the way she moves and can be very funny without even trying she is the school funny girl I have previously done casting auditions for the feature film I Kill Giants, TV show in the UK called Benidorm and a TV advert for Nandos. I would love to audition for Disney channel, Nickelodeon or to be on the stage in a West End Musical I love singing and acting together and have won awards at Musical Theater School including best singer. I am a good swimmer, I can ride a bicycle and a 4 wheel petrol quad bike, I am good with computers and can type really quickly. I am very good at artwork/drawing and have won several awards for it. I can sing Musical Theater, Country and Pop songs. i get chosen to play the main role in all school plays and i have top grades in drama glasses. my playing roles age is 12 to 15 year old's my daily life is acting and singing i can cry and be very sad or playing the school bully role to sweet nice happy girl Please feel free to see me on my YouTube channel Type in Jodie State I have a drive to do well I will not stop until I get it right. I will take on any role large or small and give it my all and am able to travel worldwide.